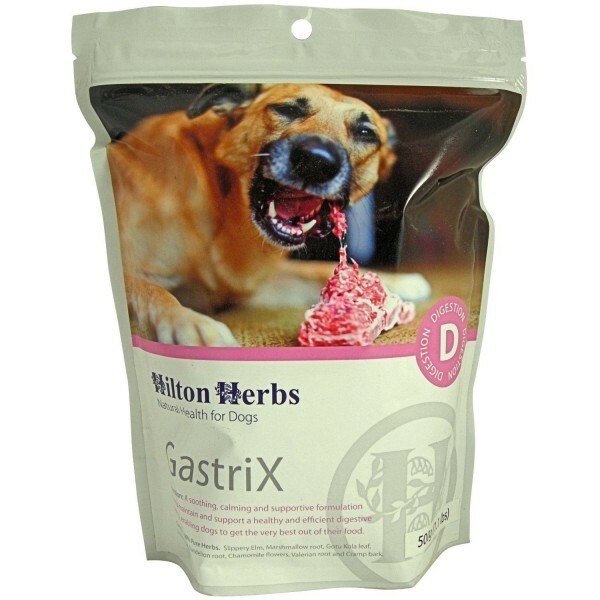 Hilton Herbs GastriX has been specially formulated to help promote a healthy and efficient digestive system which enables your dog to get the best out of their food. This soothing supplement is ideal for when your dog experiences stress or a change of routine, which can cause digestive upsets. Full benefits may take up to four weeks to be seen. Slippery Elm, Marshmallow root, Gotu Kola leaf, Dandelion root, Liquorice root, Chamomile flowers, Valerian root, Cramp Bark. There are currently no questions for Hilton Herbs GastriX for Dogs - be the first to ask one!